Let Ronald Diskin Assoicates Corp. help you protect your investments! Ronald Diskin Associates Corp. (RDA), specializes in providing superior insurance protection to business owners within commercial real estate including, Apartment Buildings, Mixed Use Buildings (Apts & Mercantile), and Shopping Centers. Building a new property or renovating an existing one? Let RDA protect your investment with a Builder’s Risk policy. From the ground up, Builder’s Risk coverage indemnifies for loss of, or damage to, a building under construction. 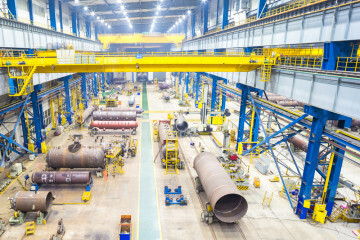 Ronald Diskin Associates Corp. (RDA), specializes in providing superior insurance protection to privately held businesses in the Manufacturing, Wholesale, Retail and Service Industries.Clients range from fencing manufacturers to commercial glass contractors and fuel oil distributors. The RDA team is dedicated to building long-term relationships with our customers. As your trusted advisors, we perform an annual needs review and reassessment to ensure that your coverage is appropriate to current market conditions and are always available for consultation should your needs change in the interim. RDA’s principal, Ronald Diskin, has over 40 years of experience in commercial real estate insurance. Ron and his team of seasoned account executives and finance specialists continually strive to exceed customer expectations by providing extraordinary service, prompt claim handling, competitive pricing and an in-depth knowledge of the ever-changing market conditions in the insurance industry. Our clients come to us because we offer the right coverage at the right price. They stay with us because of the exemplary service they receive and the product knowledge they are receiving. Because we educate our clients on what their policies cover and what their risks are, they have developed a comfort level with RDA and an understanding of the products they are purchasing. When clients have questions about their policies or need help with a claim, they know a member of the RDA staff is always available to help. Ronald Diskin Associates Corp. (RDA) specializes in providing superior insurance protection to commercial real estate property owners. At RDA, we don’t provide a cookie cutter approach to commercial real estate; we look at things differently (i.e. claims that are affecting your pricing and coverage). We take the time to review every aspect of your business to piece together the right coverage specific to your insurance needs. 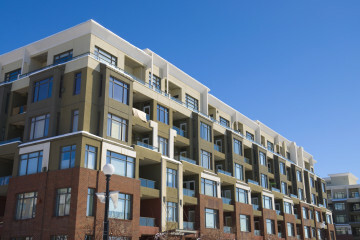 Whether it’s an apartment building, shopping center, mixed-use building (apartments and mercantile), condo, co-op, office building, hotel, motel, or warehouse, we’re laser focused on offering the best coverage at the most competitive price for your investment property. Why are we different? 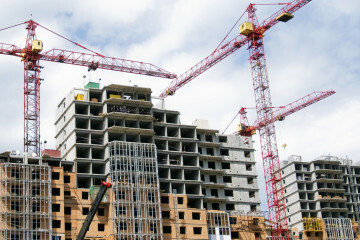 We analyze claims and the construction type of the buildings to see if there are alternatives in the quoting process. Since 1994, RDA has employed a personalized, consultative approach to understanding your business exposures so we can develop the best risk management plan to protect your property investment. Unlike insurance agents who are tied to the suite of products offered by their employers, we’re insurance brokers who leverage our longstanding relationships with the industry’s leading carriers to provide our clients with customized coverage options specific to their unique needs. Our clients come to us because we offer the right coverage at the right price. They stay with us because of the exemplary service they receive and the product knowledge they receive. Attention to detail - that's Ronald Diskin and Associates. Tony and Ron leave no stone unturned, and always have my companies best interest as their number one priority. Their professionalism is evident in their ability to provide me with the most informed insurance options. Yet they always maintain a sincere personal interest in knowing the intricacies of my business, its health and its growth. Ron and his colleagues, for many years now, have provided prompt, reliable service. As a multi-family operator we think of RDA, with the key advice they dispense, as a part of our management team. 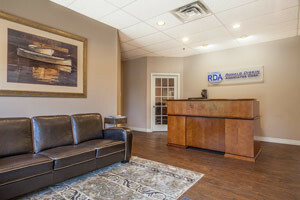 RDA has been our agent for many years, for one simple reason- an unparalleled knowledge of the multi-family industry.